Alright, fast-fowarding through the "pick all the options until one works" combat events due to goon demand. 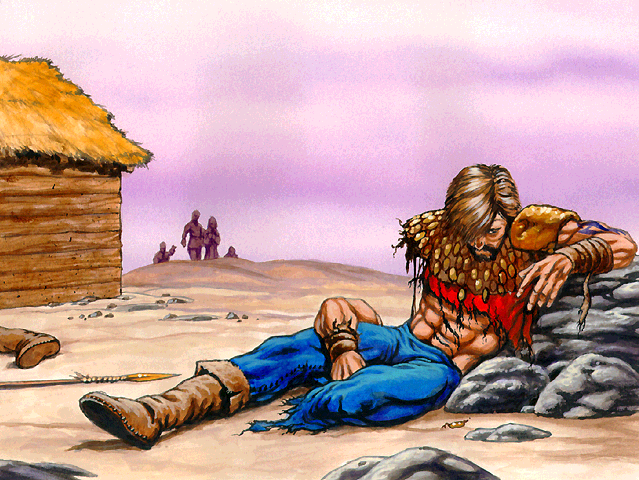 Only after he has defeated the creatures do the people of the Storm Tribe see that the fight has broken Penterest into pieces. They wail in despair: "Our defender is gone!" 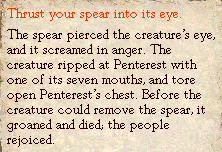 What do the worshippers back in the ritual ground do to help Penterest knit himself back together? -Give of your clan magic. The legends really aren't helpful here, but I provide them anyway.